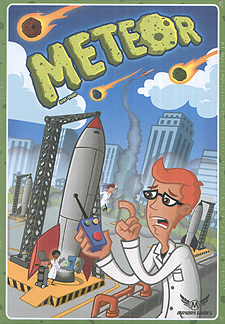 In five minutes a meteor storm will impact Earth, unless you can work together to blast the meteors into oblivion! Work cooperatively; pooling resources and launching rockets to obliterate the impending threat, or cockroaches will inherit the planet. No pressure - it's just the fate of the world.